Interesting that it is quite possible to do a good design which is also the wrong design. This is what I think happened in the case of Hamish Horsley’s 1999 design for the Tibetan Peace Garden beside the Imperial War Museum, as explained in the video. Part of the problem is the small scale and obscure location of the Peace Garden vis-a-vis the War Museum. Surely we all prefer peace to war and to not want to see peace tucked away in a convenient, if noisy, corner. 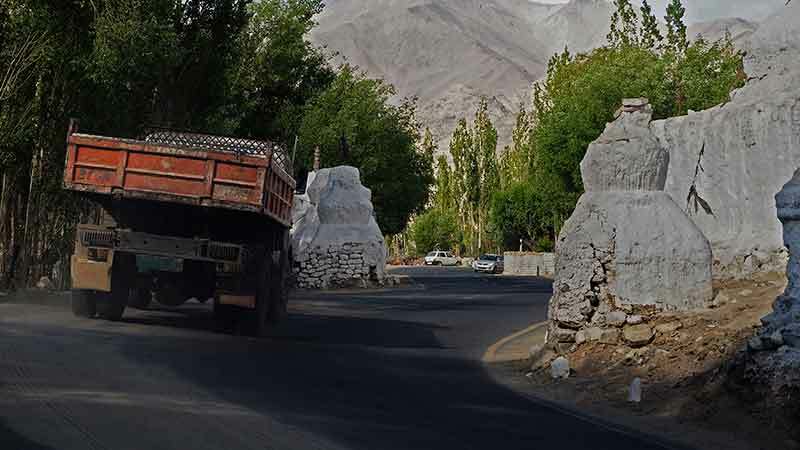 I think the scale problem could still be resolved, and cheaply, by placing prayer flag high in the trees – to let them waft their prayers for peace to every corner of the globe. This entry was posted in Asian gardens and landscapes, Buddhist gardens and environmental ethics, Garden Design on 28th June 2013 by Tom Turner. This video is an attempt to involve the forces of nature in making and un-making a ‘flower and sand’ mandala pattern. Mandalas are diagrams which help explain, in Giuseppe Tucci’s phrase, ‘the geography of the cosmos’. Buddhist mandalas explain the Dharma – the Buddha’s teaching. It is both a philosophical system and a course of action. Sand mandalas are made in Tibet, as part of a monk’s training – and then ‘ritually destroyed’. The outer region of a mandala represents the world and the universe – samsara. It is impermanent. The inner region of a mandala represents nirvana – an ideal condition in which the spirit is liberated from the cycles of death and suffering. Some Buddhists think of nirvana as a real place. Other Buddhists think of nirvana as a state of mind. Mandala diagrams often have Mount Meru, a palace and a palace garden at their centre. The diagram then explains the path from suffering to enlightenment. It is a path which requires, study, meditation and compassion. For western garden designers, and for non-Buddhists, a fascinating comparison can be drawn with the Neoplatonist/Idealist axiom that ‘art should imitate nature’. In aesthetic theory, it is now interpreted as a call for ‘naturalistic’ and ‘representational’ art. But for most of its history ‘art should imitate nature’ was a call to embody the fundamental essences of Nature in works of art. The principles of optics, for example, were seen as Laws of Nature which could and should be employed in the design of baroque gardens. Under the influence of Christianity, from the time of St Augustine (354-430) onwards, this meant the ideals, laws and principles upon which God’s design for the universe was founded. We could say that a mandala-based design is also ‘an imitation of Nature’ (which Buddhists understand as the Dharma). This entry was posted in Asian gardens and landscapes, Buddhist gardens and environmental ethics, Garden Design on 22nd June 2013 by Tom Turner. Greta Gaard recalls a conversation with her Dad about ‘my dietry freedom at the age of 11’. I stayed in a hotel recently and the owner informed me that he only ate the flesh of animals which do not have a central nervous system. I did not ask about slugs but I did wonder about the religious and physiological aspects of his diet. I have read that humans could not have evolved to their present condition without consuming the proteins which come from animals and our place in the food chain is part of our ‘nature’. But have humans reached a point at which they can/should give up eating fish and meat? 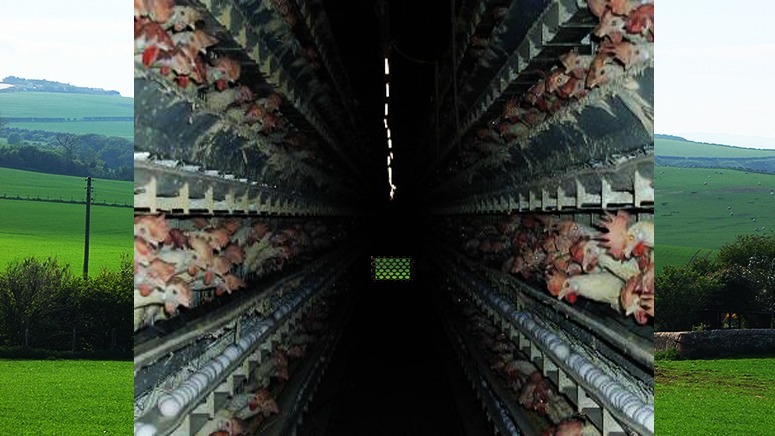 The Economist reports that ‘The world’s average stock of chickens is almost 19 billion, or three per person’ – and most of them are kept in ghastly conditions. Buddhists believe that accumulating bad karma can lead to one being reborn as a lower form of life. If I am to reborn as a chicken I most definitely would not want it to be in Africa, India or China. Nor would the US or Australia suit me well. I suppose the UK would be the best place, because the country has moderately well developed animal welfare policies, but even this would be grim. Should good environmentalists be vegetarian? One consideration is that if all humans became vegetarian then the Earth could support a much larger human population, thus promoting the happiness of a greater number. But if man is ‘just another animal’ then (1) should we worry about the loss of 19bn chickens if humans became vegetarian (2) have we a moral obligation to extend human rights to the animal kingdom? Disclosure: I was a vegetarian for many years and am now as strict as I can be about only eating ‘organic’ fish and meat – but I have doubts about my dietry policy and took a guilty pleasure in an inorganic ‘Full English’ breakfast one day last week. This entry was posted in Buddhist gardens and environmental ethics on 12th June 2013 by Tom Turner. After publishing six short videos on Buddhist gardens on this blog last week, you can well imagine that I was delighted to find two contemporary Buddhist-inspired garden designs at the 2013 Chelsea Flower Show: The Sound of Silence garden by Fernando Gonzalez and the Mindfulness garden by Martin Cook. Martin won a Gold Medal and Fernando a Silver-Gilt Medal – my explanation is that Fernando did not include flowers in his design. It is, after all, the Chelea FLOWER Show. My suggestion was that the wavy white mountains could stand in a lotus pond (following the traditional pattern of mandalas and mandala gardens). Congratulations to them both – I believe that Buddhist ideas have an illustrious future in gardens – less as representations of the Buddha than as interpretations of the Dharma. Fernando admires Japanese Zen gardens. They derive from Chinese ideas and I look forward to the day when Chinese landscape architects and garden designers recover their long-lost interest in Buddhist philosophy. That day will surely dawn. This entry was posted in Asian gardens and landscapes, Buddhist gardens and environmental ethics, Garden Design on 22nd May 2013 by Tom Turner. Eco-Buddhism, landscape architecture and environmnetal ethics is the second of six videos on the relationship between Buddhism and the history of garden and environmental design. 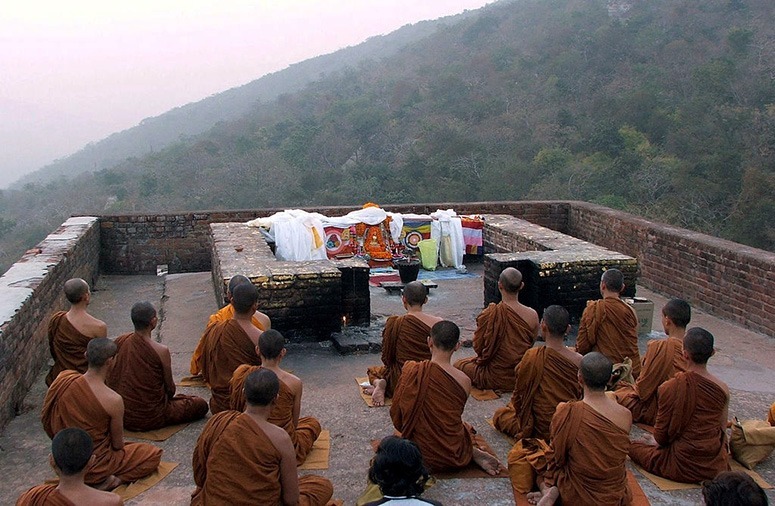 Buddhism declined in many Asian countries during the twentieth century but became one of the fastest-growing faiths in Europe, the Americas and Australia. This led to an encounter with the environmental movement and a substantial literature has developed on what is called Eco-Buddhism, Green Buddhism or Environmental Buddhism. Though he did not advocate a Buddhist approach, Ian McHarg’s advocacy of Design with nature and of Lynn White’s argument against the Christian attitude to nature, associates McHarg with Buddhist Environmentalism. This entry was posted in Asian gardens and landscapes, Buddhist gardens and environmental ethics on 18th May 2013 by Tom Turner. Chan and Pure Land Buddhist Gardens in China is the fourth of six videos on the relationship between Buddhism and the history of garden design. 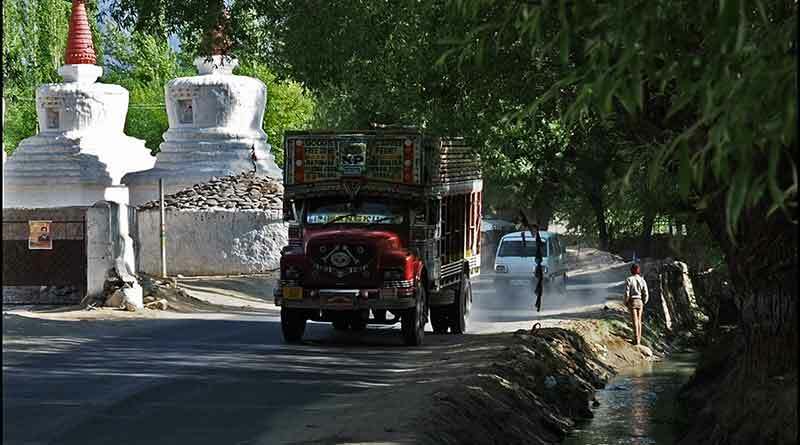 Buddhism spread to China from India. The practice of forming monastic communities with temples and gardens also took root in China but the Buddhist-influenced gardens made in China were not the same as any which are known to have been made in the India. 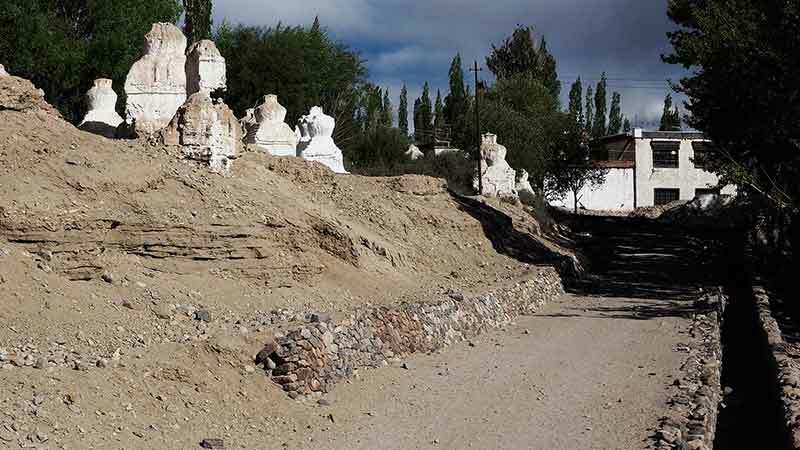 They were Mahayana Buddhist Gardens and appear to have been influenced by Tibetan mandalas with lotus ponds, Buddha halls and representations of mountains. They were the subject of paintings in Tibet and of garden design in China. Chan (Zen) and Pure Land ideas also took developed in China and are likely to have influenced garden design. This entry was posted in Asian gardens and landscapes, Buddhist gardens and environmental ethics on 17th May 2013 by Tom Turner. Buddhist garden design in Japan is the third of six videos on the relationship between Buddhism and the history of garden design. Buddhism spread to Japan from China and Korea, as did the Chinese style of laying out cities, palaces, temples and gardens. 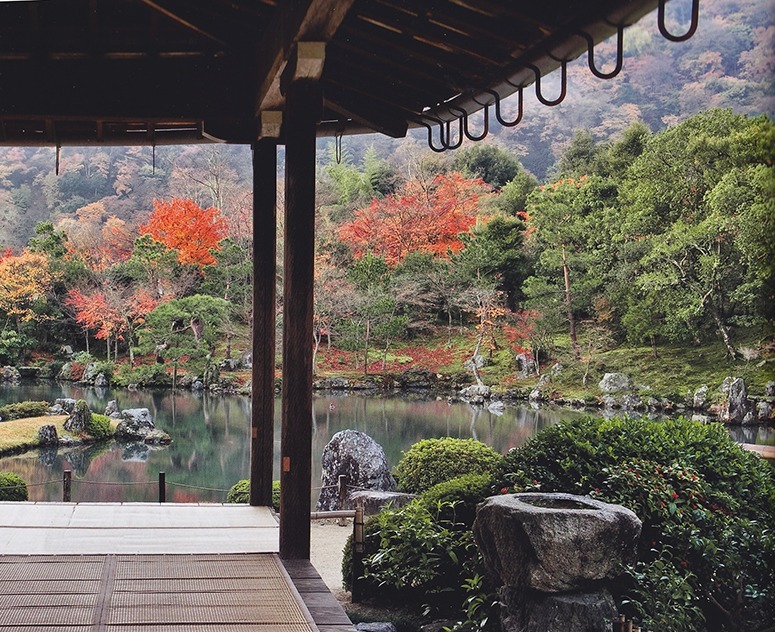 Japanese gardens were often made for Buddhist monasteries, where they tend to be called Zen gardens, and for retired emperors who wished to live as abbots and conduct their preparation for the Pure Land and nirvana. 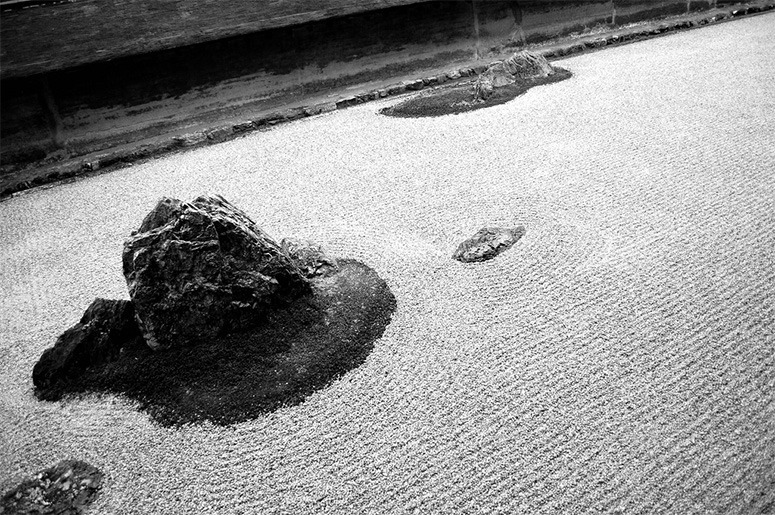 The term ‘Zen garden’ was not used until the 1930s but has become very popular. This entry was posted in Asian gardens and landscapes, Buddhist gardens and environmental ethics on 16th May 2013 by Tom Turner. Buddhist garden design in India, Sri Lanka and Nepal is the second of six videos on the relationship between Buddhism and the history of garden design. This entry was posted in Asian gardens and landscapes, Buddhist gardens and environmental ethics, Garden Design on 15th May 2013 by Tom Turner. 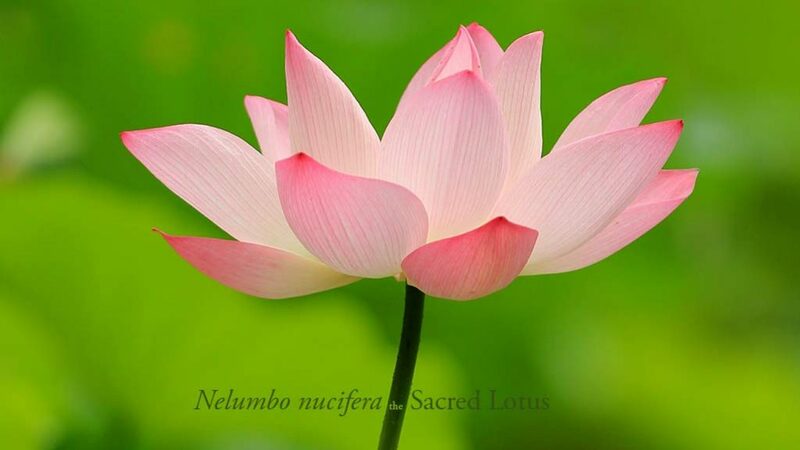 Buddhism is the world faith which has had most influence on gardens. This began in India and spread to China, Korea, Japan and other countries in South and East Asia. I have sketched these developments in an eBook and six videos, of which this is the first. This entry was posted in Asian gardens and landscapes, Buddhist gardens and environmental ethics, Garden Design on 14th May 2013 by Tom Turner. This gives the lines from the Heart Sutra a relationship with Plato’s Theory of Forms and with the modern distinction between particulars and universals. We might say that universials are known only from particulars and that particulars are understood only when they can belong to universal categories. The favourte example is cats (see Fig 1). We only know the universal ‘cattiness’ through particular examples and we only know that particular cats ARE cats because of our acquiaintance with the universal form of cats. Assuming I have interpreted the Buddha and Plato correctly, I am more attracted to the Buddhist version. Plato conceived the forms as eternal and unchanging. For a landscape architect or garden designer this is unappealing. It implies that all possible forms and designs already exist. The Buddhist version gives important positions both to the form which a designer ‘assembles’ and to the inter-connected cosmos (I almost wrote ‘compost’) from which the elements are drawn – and to which they will return. Forms have no ‘self’; they change every instant; they are impermanent (annica). Modern science confirms that everything is in flux. We notice it more in outdoor than indoor environments. With time the fourth dimension, landscape design appears to be a four-dimensional art. The photo is from Wikipedia, with thanks. The design uses one of the primary Platonic forms: the square. Compare it with the photo of St Francis, below. Monasticism was a Buddhist idea and the monks seem to belong to the Axial Age, of the Buddha, Plato, Confucius and the author(s) of the Old Testament. Or do they belong to an even earlier age when India rishis meditated in forests, caves and mountain retreats? And why was it such a great period in the history of philosophy and religion? Should philosophers and religious leaders – and landscape designers – work in the great outdoors, instead of in fusty musty offices? Yes. Form is emptiness and emptiness is form. 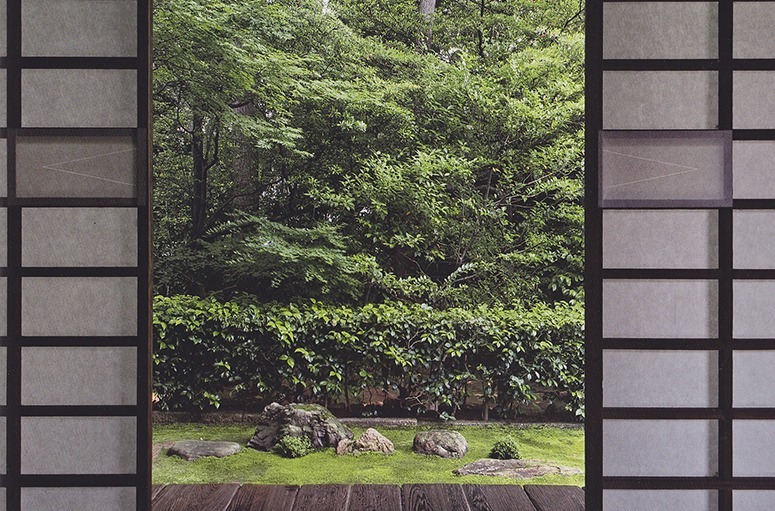 This entry was posted in Asian gardens and landscapes, Buddhist gardens and environmental ethics, Garden Design on 14th April 2013 by Tom Turner. To a Christian a tree can be no more than a physical fact. The whole concept of the sacred grove is alien to Christianity and to the ethos of the West. For nearly 2 millennia Christian missionaries have been chopping down sacred groves, which are idolatrous because they assume spirit in nature. What we do about ecology depends on our ideas of the man-nature relationship. More science and more technology are not going to get us out of the present ecologic crisis until we find a new religion, or rethink our old one. The beatniks, who are the basic revolutionaries of our t ime, show a sound instinct in their affinity for Zen Buddhism, which conceives of the man-nature relationship as very nearly the mirror image of the Christian view. Zen, however, is as deeply conditioned by Asian history as Christianity is by the experience of the West, and I am dubious of its viability among us. 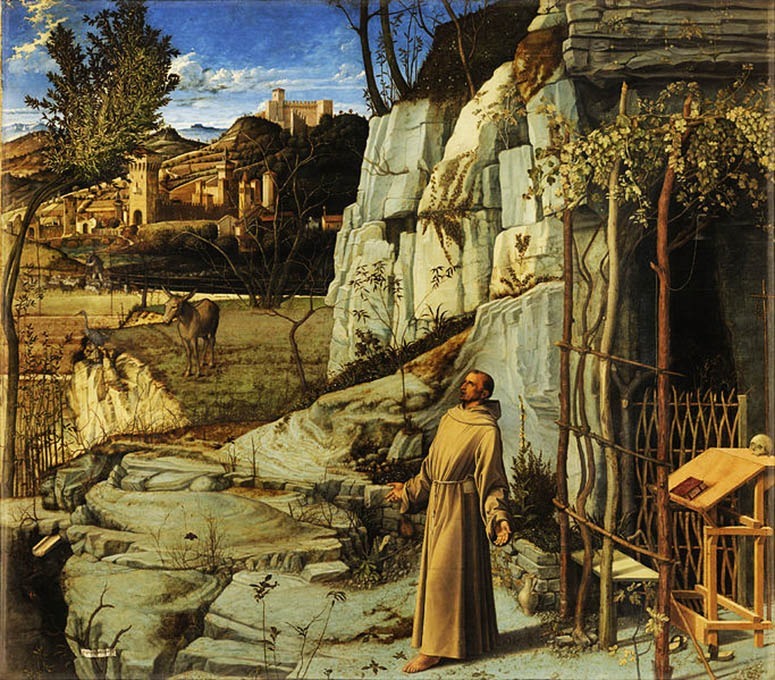 Possibly we should ponder the greatest radical in Christian history since Christ: Saint Francis of Assisi. The prime miracle of Saint Francis is the fact that he did not end at the stake, as many of his left-wing followers did. He was so clearly heretical that a General of the Franciscan Order, Saint Bonavlentura, a great and perceptive Christian, tried to suppress the early accounts of Franciscanism. The key to an understanding of Francis is his belief in the virtue of humility–not merely for the individual but for man as a species. Francis tried to depose man from his monarchy over creation and set up a democracy of all God’s creatures. may point a direction. I propose Francis as a patron saint for ecologists. This entry was posted in Asian gardens and landscapes, Buddhist gardens and environmental ethics on 9th April 2013 by Tom Turner.